“I slept in Victoria coach station because I was scared to sleep on the street. I pretended to go somewhere. I pretended I was waiting for the bus,” says Yeshiwork Mekonnen, who is sitting at a table in the corner of a room in al-Manaar mosque, down the road from Grenfell Tower, which has just started offering homeless people a place to eat and stay for the night. She's 31, she says, and scrolls through her phone while we talk. Her hair is tied in a ponytail and she is ready to sleep but willing to speak about her experience of being homeless on this bitterly cold Tuesday night in November. Mekonnen is from Ethiopia and came to the UK in 2015 looking for refuge from political turmoil. She sees homelessness as a temporary chapter in her life. She got to this country in the winter, when the evenings were long, dark, and cold. At first she lived in Preston, where she had been in asylum support accommodation and received an allowance of just £36.95 a week, until she was granted refugee status earlier this year after many interviews with Home Office workers and court processes. She got the coach to London in August. She describes how sometimes she would sleep on a bench sitting up, pretending to be awake, with a blanket pulled up over her knees. Tonight she will sleep in a night shelter run by the West London Mission, a homelessness and poverty charity that pairs with religious buildings to open them up for homeless people. It has been running for eight years, but in October al-Manaar became the first mosque to get involved, joining 13 churches of different denominations and a synagogue. Mekonnen joined the the night shelter project a few weeks ago. “People are going to be homeless because of different situations,” she says thoughtfully. “When they change from place to place, till they are gonna be on the right track… for a transition period they are gonna be homeless. Earlier in the evening, around 6pm, the mosque canteen is filling up with guests (there are 15 of them) and shelter volunteers. People help themselves to tea in the vibrant, busy space. Some chat. Some help lay the tables for the meal of pakoras, chicken curry, chickpea curry, rice, yoghurt, and naan – all halal. Phil Stone, which is not his real name, is 43. With a slight Liverpudlian accent, he tells BuzzFeed News he worked for 12 years as a chef in Liverpool restaurants. He came to London with friends for a new job, only to discover it didn’t exist when he got here, and he didn’t have the money to buy a ticket back. He has been in and out of work as a kitchen porter and in and out of temporary accommodation a few times, including a flat in Ilford, in the east of the city, where eight people were staying. (“We were sleeping everywhere. Mattresses everywhere.”) He slept on the streets for weeks at a time, and was taken in by Romanian cleaners to live in a crowded and noisy house in nearby Dagenham, where he was unable to sleep because of a bed lice infestation. He walked out. Stone lifts up his trouser leg and shows the bites pockmarking his leg. “I’ve got it all over my body. See that?” Because of his bad luck with accommodation, he kept falling asleep during the day and started slipping up in the kitchen. Stone lost his job and ended up on the streets again. Inside Grenfell Hall where guests stay the night inside the mosque, renamed to commemorate those lost in the Grenfell Tower fire. “It was quite rough, it was cold,” he says. “I didn't know the place. I used to sleep in Regent's Park and there's this kind of a pavilion and it has a half-shelter from the wind. It's protected from the rain and I used to sleep there using carton boxes, and I had a blanket. The chef found the day centre at Seymour Place in Marylebone, which is also run by WLM, nine weeks ago. He says he keeps himself to himself and goes his own way during the day, spending part of his time in libraries. Al-Manaar mosque’s role in the Grenfell relief efforts is something that helped it become a more regular shelter. Residents and locals stayed there on the night of the tragedy and in the weeks after, which for Muslims coincided with the long days of fasting during Ramadan. 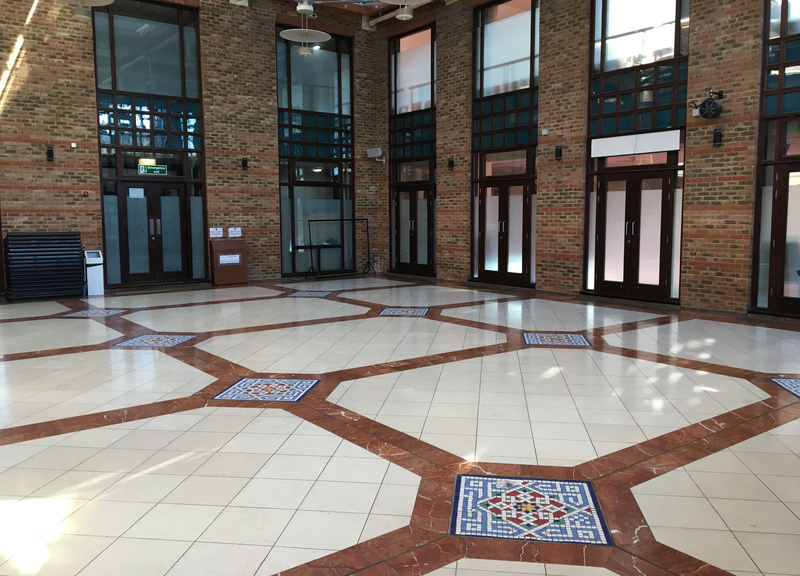 The two halls in the mosque, which now house homeless guests, have been renamed Grenfell 1 and Grenfell 2 as a mark of respect and commemoration. A tour of the building includes the library and counselling rooms for grieving families, and the hall where a public meeting about legal support for victims was held a few days after the fire. Abdurahman Sayed, the chief executive of al-Manaar Muslim cultural heritage centre, says the mosque was preparing for the last 10 days of Ramadan when the fire broke out on 14 June. “The first thing we did was to respond to that by opening our doors to anyone who needed temporary shelter, gave food and drink, and that immediately made us a centre for emergency services for Grenfell,” says Sayed, who is eating with the guests in the canteen. Abdurahman Sayed, the mosque's CEO. Sayed has been in the role since June 2016. Before working at the mosque, he was in the public sector for 17 years. He says al-Manaar is now hosting homeless people because of “a duty of care towards the community” and a desire to show its commitment to this publicly. When asked why the mosque didn’t open its doors to the homeless sooner, Sayed says: “We were always open, it's just we never articulated ourselves enough. As the naan goes around, people share parts of their stories. Michal, 45, who doesn’t give his last name, is from Poland and has been in London since 2009. He lost his job as a crane driver a year ago, and lost his accommodation last Christmas. Michal lost his job and his home. “At first I felt like I was alone, especially the first night. I used to stay in Hyde Park,” says Naji Ali, 42, who first came to London nine weeks ago after working in Liverpool as a security guard. Before that, he worked at different retailers for five years. When the weather got colder, he tried to sleep in Victoria station, “but a security guard saw me, and he told me to get out.” So Ali ended up finding the night shelter scheme, after three weeks sleeping rough. “Sometimes I used the night buses. Especially somewhere in London at night – it's not safe,” Ali says. He recalls how he liked the long journey from Ilford in east London to Oxford Circus in the city centre on the number 25. Depending on the weather and if the sky was clear, he might get a bus that would head south across Waterloo Bridge, and see Westminster and the London Eye lit up. Guests and volunteers tuck into the evening meal. In Liverpool, Ali found he was sometimes working sometimes seven days straight, but wasn’t earning enough to live off. “The problem is you work all hours, and you get nothing.” Since he came to London, he says, he has had job interviews and the day centre has helped with applications, but he has been unable to get accommodation in a city with a chronic housing shortage and soaring rent prices. He says he did not know how hard it would be. He thought he would be without a place to stay for two or three days at most. 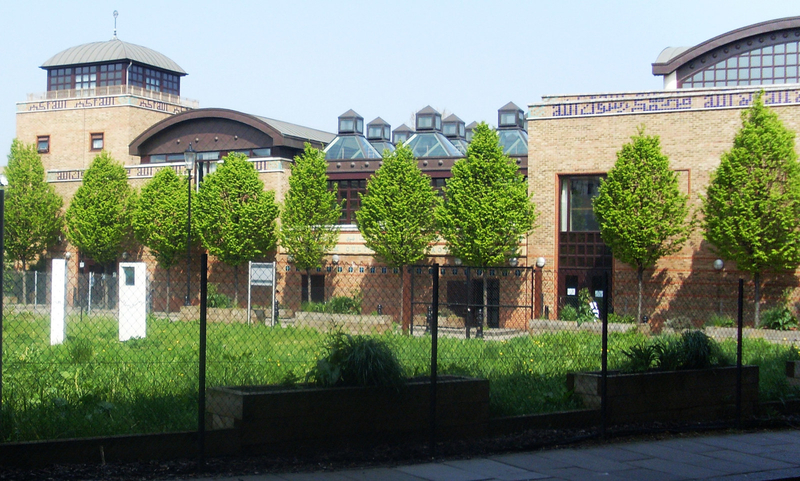 Religious buildings working with the West London Mission (WLM) rotate to house guests at different venues each night. Al-Manaar began hosting each Tuesday in October and November, and will continue in January. The move comes as the number of statutorily homeless households and people living in temporary accommodation in England has increased. Nearly 80,000 households will find themselves homeless and living in temporary accommodation this winter. The imam at the mosque, who stays for the evening meal and talks to guests. The mosque opened its doors thanks to Saima Ahmed, 32, a WLM project coordinator who has previously worked in finance. “I think a lot of our guests had preconceptions of what a mosque would be like and what individuals at the mosque would be like, and it's just so beautiful now that the imam and the people who work at the mosque all know the guests on a first-name basis,” she tells BuzzFeed News. Ahmed, who spends the evening of BuzzFeed News' visit going from table to table checking everyone is fed, managing the kitchen, and welcoming guests, says she had previously struggled to get mosques in London to take part. While they have been good at running soup kitchens and raising money for charity, some have held back because of funding issues, security concerns, and logistical restrictions. 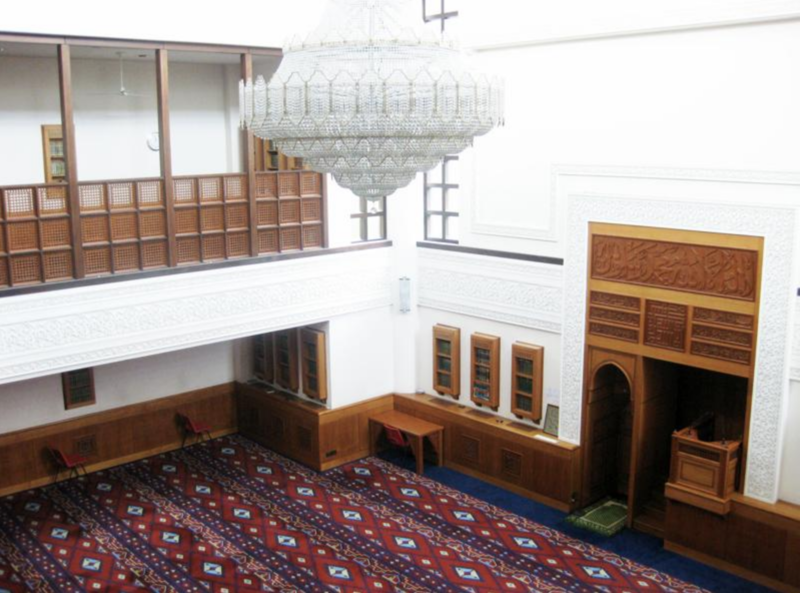 For example, some mosques are very small, or used by worshippers throughout the day. As with all the religious buildings involved in the scheme, al-Manaar won’t accept guests who are dependent on alcohol. She says when al-Manaar opened its doors “it felt like home” and she’s been pleasantly surprised by how welcoming the people who work there have been. 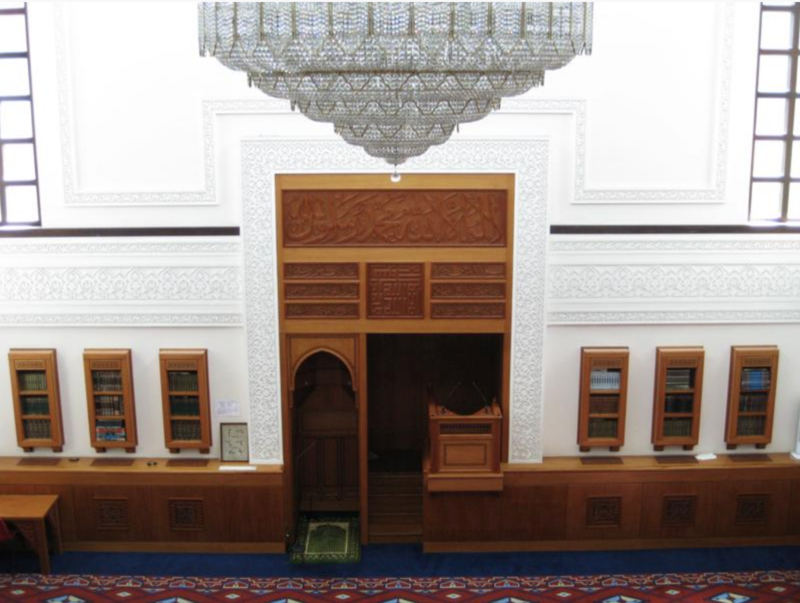 On nights when the project comes to the mosque, the imam has dinner there and stays over. Ahmed, who is Muslim herself, feels the issue of homelessness is not always taken seriously enough. Half of British Muslims face poverty and deprivation, according to official figures. Peter Mwaniki, the WLM Night Shelter Coordinator, has been working with homeless people for 21 years. WLM also runs its day shelter at Seymour Place, where 100 people come through the door each week for a hot breakfast, laundry, employment advice, or to visit the onsite health team. “I think one of the most important things is a welcome, so that someone can suddenly feel they can exhale,” Mwaniki says. Peter Mwaniki, a WLM coordinator. He says churches were also reluctant at first. “When we first started eight years ago there were only three churches that came on board and so the first group of homeless people were staying only three nights, and then the other four nights of the week they were on the streets. “It took the following year for three more churches to come on, and then the day centre stepped in as the seventh venue. As night falls at the shelter, and the lights switch off around 10pm, people start rolling out the sleeping bags and mats in the halls. But some make their temporary beds in the corridor outside, and read books, finding sleeping in a room with so many other people unbearable. The next morning, the first guest up for breakfast after the mosque’s pre-dawn call to prayer is Paul James Mcauley, 34. He has to get up at 5:30am for work, and chats over breakfast, which includes leftover bread donated by Gail’s Bakery and delivered by the Felix Project, which provides charities with food for vulnerable people. Cereal, porridge, coffee, and fruit are spread out on the main table. Paul James Mcauley, a guest. Mcauley is from Ireland and moved to London six weeks ago. He was in Cambridge for a couple of years working in construction, but had to leave when work dried up. When he first got to the capital, he stayed at a shelter in east London. One morning when he woke up, all his belongings he needed for work – his hard hat, boots, hi-vis jacket – were gone. He found the WLM day centre, which replaced his uniform. He has a long bus journey ahead of him, and packs Tupperware with food for later. Other guests get up early too, due to trouble sleeping but also to be able to get to the day centre first thing. Mcauley says there’s always something to worry about, but at least he’s currently in work. “I'm managing it alright – it's not ideal. Sometimes people are coughing [at night] and you're not getting the best of sleep, but at the same time the end result is that I'll find accommodation, so I'm running along with it,” he says. Guests start filing in, have something to eat, and make their own way out in different directions. But the WLM scheme has been a lifeline for Ali, and he’s especially valued spending time with different religious groups – including making a Jewish friend for the first time. “From the mosque to the church to the synagogue… I don't want to exaggerate but through this charity and the day centre, this community can be healed because [it is really] diverse, and I’ve met different people.